02 Oct Prices are soaring like an eagle. It’s another week of increased pricing. 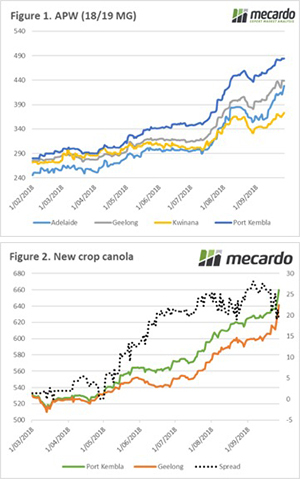 In this week’s comment we look at wheat pricing, the new action in canola and increased to global wheat production. The continued poor conditions and lack of grower selling has led to further increases in pricing in the past week. All zones have shown strong rises, with the lowest being in the Port Kembla zone, at a meagre 1% (figure 1). The reality being that in NSW and QLD, there isn’t much value in increasing prices because it just isn’t available to buy. Two weeks ago I wrote about the relative inaction in the canola market (see link). At this point the canola market has only risen 10% since the beginning of widespread drought panic whereas wheat had increased an impressive 27%. A combination of the high price of hay alongside dry/frosted conditions in the east coast has led to substantial cutting for hay. It seems that this is now starting to filter to the buyers. In the past two days prices have markedly advanced, with Port Kembla and Geelong rising 4-6% week on week (figure 2). The spread between Port Kembla and Geelong has decreased from its season high in early September, as buyers chase areas of potential production. The International grains council has increased its forecast for this year’s wheat crop to 717mmt after improved prospects in Russia. This provides some limited breathing room for importers, but, for Australian producers the only real concern is the local situation. The market really is soaring like an eagle in Australia, but it is bittersweet. The reality is that this drought is no good for anyone on the east coast. The consumers of grain are paying prices which will massively impact upon their profitability. 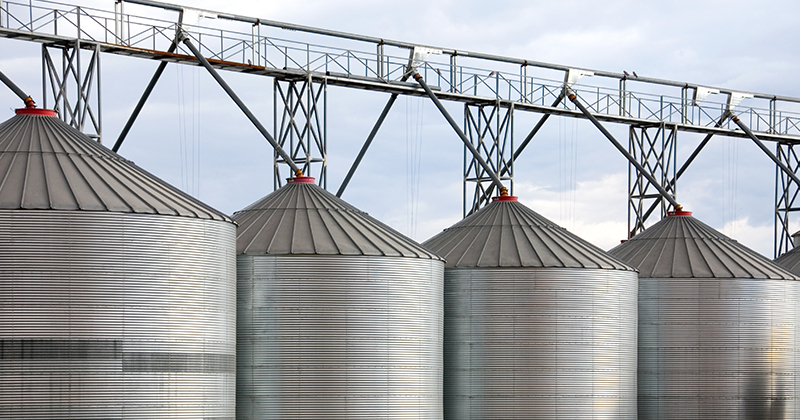 Grain producers will find that the higher price will nowhere near offset the reduced yield.